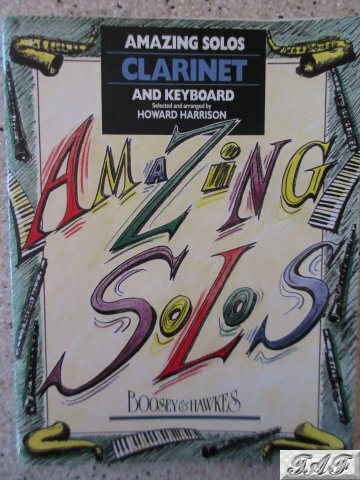 Amazing Solos for Clarinet and Keyboard. Selected and arranged by Howard Harrison. Separate clarinet and keyboard scores. Good condition. Inside of both books has owner's names. Some piece titles have been circled in pencil, but rubbed out again. Make an instant payment for the full price (£1.99 plus £1.26 postage) directly to the seller's PayPal account.